Are you an adventurous soul yearning for an authentic Cape Town experience? We have put together the ultimate guide for you to experience the best of Cape Town – one that is both budget-friendly and which will ensure a unique, once-in-a lifetime travel experience. Cape Town is a treasure trove of unique attractions. And you don’t have to worry about transport either – our open-top tours stop at all the top attractions and hidden gems across Cape Town. Want to know the best way to visit Table Mountain? Our City Tour to Table Mountain will drop you off on the doorstep of the Cableway ticket office. Save time and skip the ticket-office queue – buy your Cableway ticket directly from our tour offices or bus drivers. Are you a museum and history lover? Our Downtown City Tour stops at six of Cape Town’s biggest museums and buildings of historical and cultural relevance. Stop at the District Six Museum to learn about Cape Town’s troubled history during apartheid, as well as the Castle of Good Hope, a fortress built by the first European settlers, now a museum and heritage site. Looking to explore the beautiful coastline? Our Mini Peninsula Tour is sure to take your breath away with its coastal drive. Hop off at World of Birds to visit Africa’s biggest bird park, or stop at Camps Bay to enjoy a laid-back beach set in one of Cape Town’s most luxurious suburbs. Don’t forget to visit the Kirstenbosch National Botanical Garden to walk above the treetops on the tree canopy walkway. 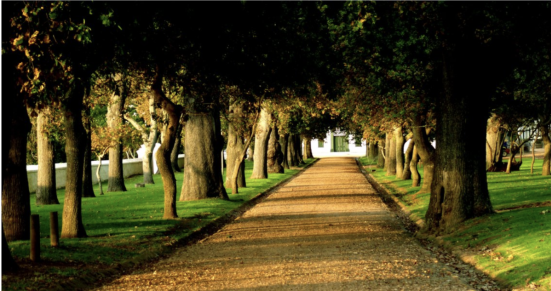 Groot Constantia, South Africa’s oldest wine estate, is also an attraction to add to your itinerary if you have a passion for wine. One open-top ticket allows you access to all our hop-on, hop-off tours, making it the best way to experience Cape Town. Book your ticket online and save R20! Have a look at our route timetable to see which route will get you to your destination. Hardened travellers believe the best way to learn about a city is to explore it on foot. We certainly agree, which is why we offer several walking tours in Cape Town and outlying areas. Our city walks will appeal to budget-conscious travellers as they are completely free! Yes, you read that correctly – these tours operate on a tip-only basis. We offer two free walking tours – the Historic City Tour and the Vibrant Bo-Kaap Tour. Both tours start at the City Sightseeing ticket office at 81 Long Street (stop 5) – just look out for the bright red umbrellas – and take approximately 90 minutes. Tours depart daily at 10am, 1pm and 4pm and are led by knowledgeable local guides. On the Historic City Tour, you'll hear interesting stories about the city's rich history and heritage – from slavery to the apartheid era and the present day. Tour highlights include Greenmarket Square (where slaves were once sold), City Hall (where Nelson Mandela made his first speech as a free man) and the Company's Garden (home to the Cape's oldest living "citizen"). The Vibrant Bo-Kaap Tour explores the historical neighbourhood famed for its brightly coloured houses – think pink, green, blue and orange. Other tour highlights include the Auwal Masjid (the first and oldest mosque in South Africa), the Bo-Kaap Museum and the spicy delights of Cape Malay food. Another off-the-beaten-track experience is our Township Walking Tour of Imizamo Yethu. The tour is unique as you weave in and around the township homes and learn about the history of Hout Bay's informal settlement from its residents. To experience the Township Walking Tour, simply hop off at stop 23 on our Mini Peninsula Tour. You can buy tickets for the Township Walking Tour either online or from the bus driver. Your guide will meet you at the drop-off point and return you approximately 40 minutes later. Worried about the Cape Town water situation? Cape Town is currently facing its worst drought in 1 000 years. If you have been following the news, you might also have heard that water supply may be cut off in the next few months. This does not mean you shouldn’t visit the Mother City – City Sightseeing tours and Cape Town attractions will keep running to ensure a pleasant and memorable trip. -Choose to stay in accommodation that has water-saving measures in place. -Reuse your towels instead of asking for new ones daily. -Flush the toilet as little as possible. -Keep showers less than 90 seconds; do not take baths. You can learn more about visiting Cape Town during the drought, plus read some more water-saving tips, here.